The best thing to do in the off-season is look at photos from years past. It’s great to remember old friends, beautiful weather, and trophy fish. We love this photo from the Janiga family! They spent a week up at Kay Lake, and had an awesome time fishing. 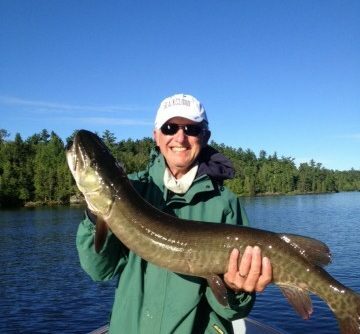 The group released 44 Muskie between 26″ to 44 1/2″. Fishing in about 12-15 foot of water, the Janigas had the best luck on “Perch” Suicks and Bulldogs. One in the group, Mark Stok, released 24 Muskie himself. They saw 100’s of Muskie out at Kay and thought if they had a better selection of lures they would have released more. 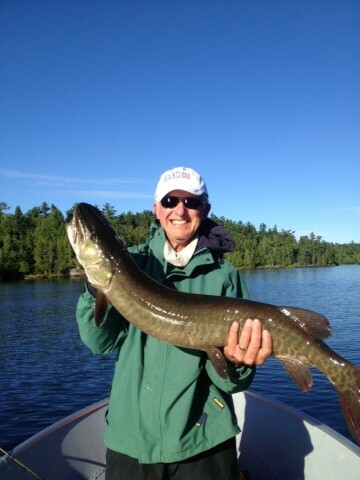 When most folks feel lucky to catch one or a couple nice Muskie, being at Nestor Falls makes you wish you had caught 100! You can’t trade the experience of netting a 44″ Muskie for a thing. That’s going to be something the guys remember for years!